Classic and charming bestselling book first published in 1873 containing poetry written on the farm about families, love, death, money, nature and the out-of-doors with equally charming illustrations to match the poems. 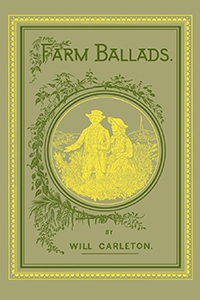 Farm ballads include among others Over the Hill from the Poor-house, How Jamie Came Home, etc. Other poems include Apple-Blossoms and Autumn Days.